The organizers of Gay Days Disney and Gay Days Las Vegas have created a brand-new celebration, Gay Days Fort Lauderdale. This inaugural bash took place in late 2014. So far, organizers have not yet announced dates for a subsequent event, but any new information will be presented as it becomes available. this year's event will be posted as information becomes available. Fort Lauderdale and the neighboring inland community of Wilton Manors are, of course, among the world's top GLBT resort destinations, so it makes perfect sense that the Orlando Gay Days folks decided to expand to this part of the Sunshine State. Like the other big Gay Days celebrations that have developed a huge following over the years, the Fort Lauderdale event consists of numerous parties and events over several days. Events have included a silent auction to benefit local LGBT-related charities, numerous pool parties led by top DJs, a Gay Days Expo, a softball tournament, and more. 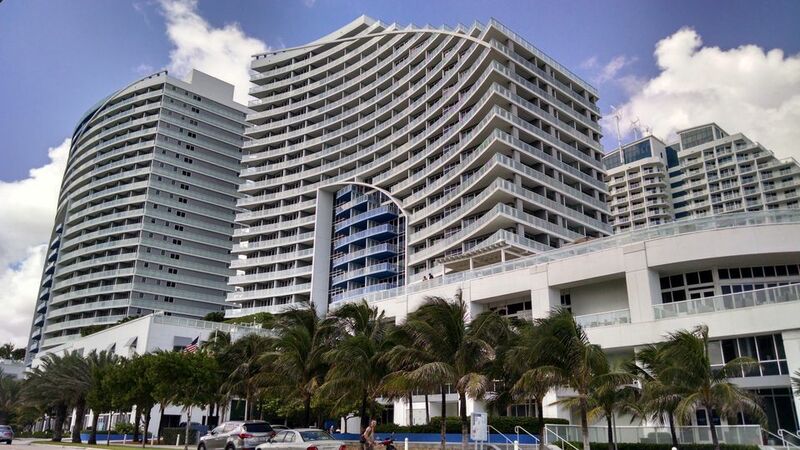 The main events took place at the fab W Fort Lauderdale, which overlooks the ocean and is steps from the main gay beach. Of course, Fort Lauderdale has dozens of other terrific, gay-welcoming places to stay - check out both the Fort Lauderdale and Wilton Manors Gay Resorts Guide, and also, for ideas about where to play and stay, the Fort Lauderdale and Wilton Manors Gay Nightlife and Dining Guide. Also take a look at local gay papers, such as Hot Spots Magazine and South Florida Gay News, for more on the LGBT scene in Broward county. Also visit the superb GLBT site produced by the city's official tourism organization, the Fort Lauderdale Convention and Visitors Bureau.